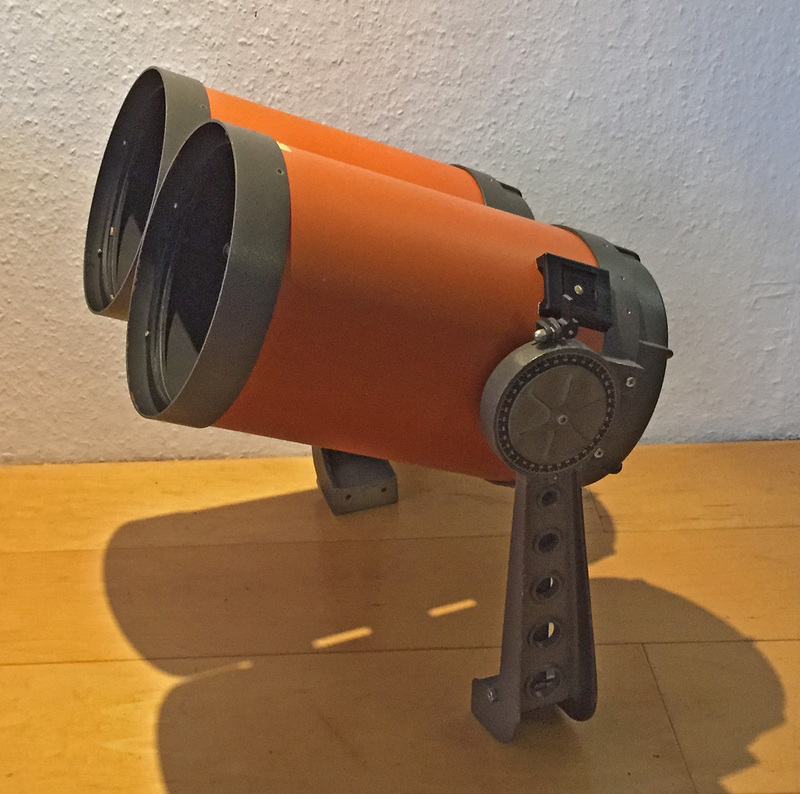 after I have been building a really fantastic Borg 125mm ED binoscope earlier this year I had the feeling that I need some more binocular aperture and resolving power. 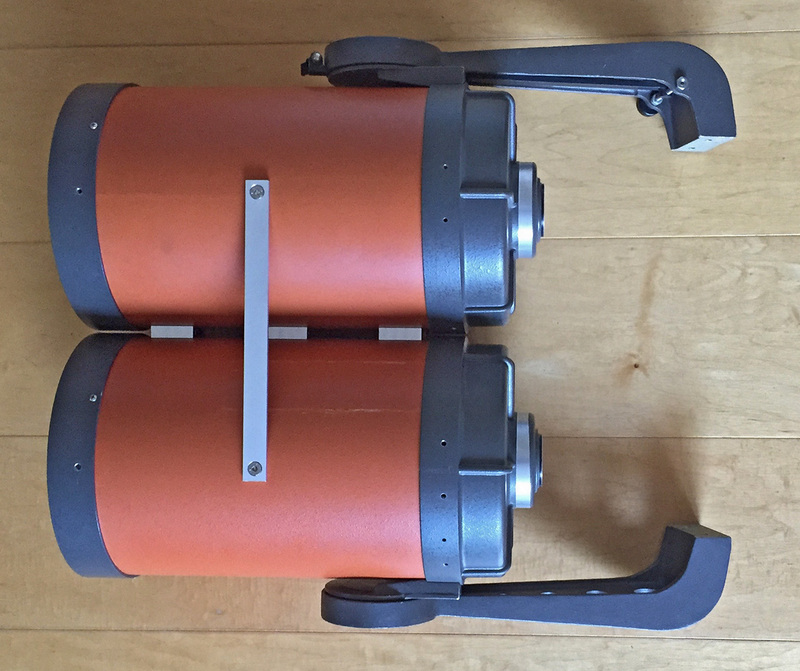 So I decided to go for a C8 binoscope, as it will be still quite small and lightweight and having a comfortable view from the back. 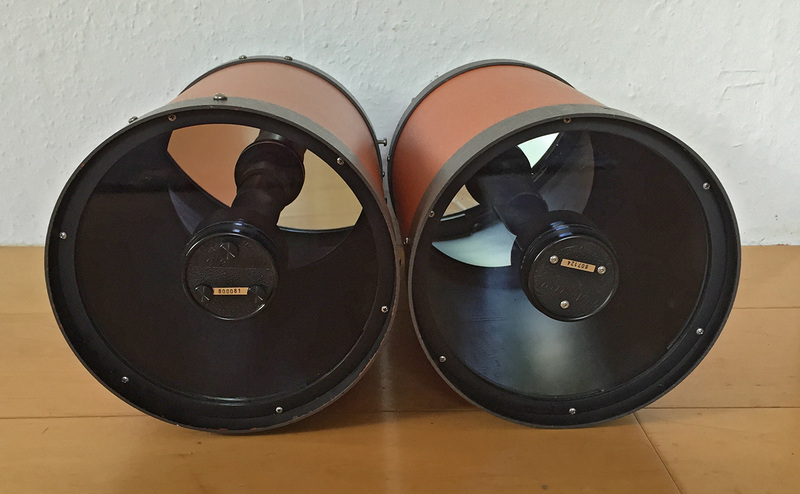 The left scope has already black velours inside, the right one has still the factory black coloring. The main problem in such a binoscope will be the long light path and the resulting needed backfocus. A big backfocus will cause two things, vignetting at the baffles inside the tehelscope and spherical aberration because the Schmidt corrector plate is not calculated for a focal ratio of f/12 or even bigger. 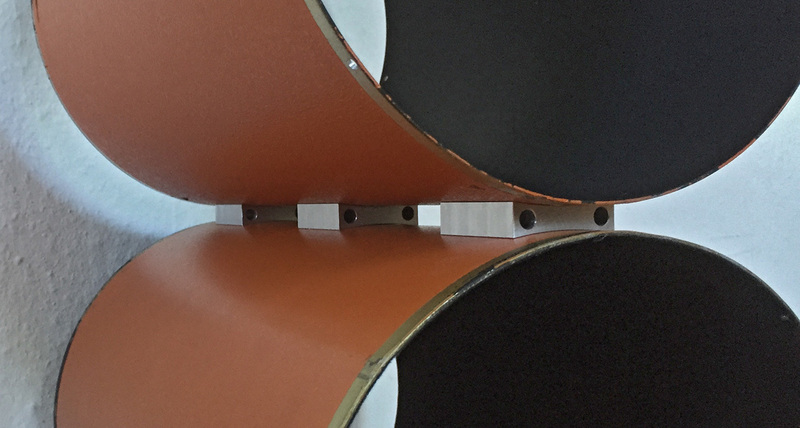 The vignetting can be lowered by shortening the baffles. 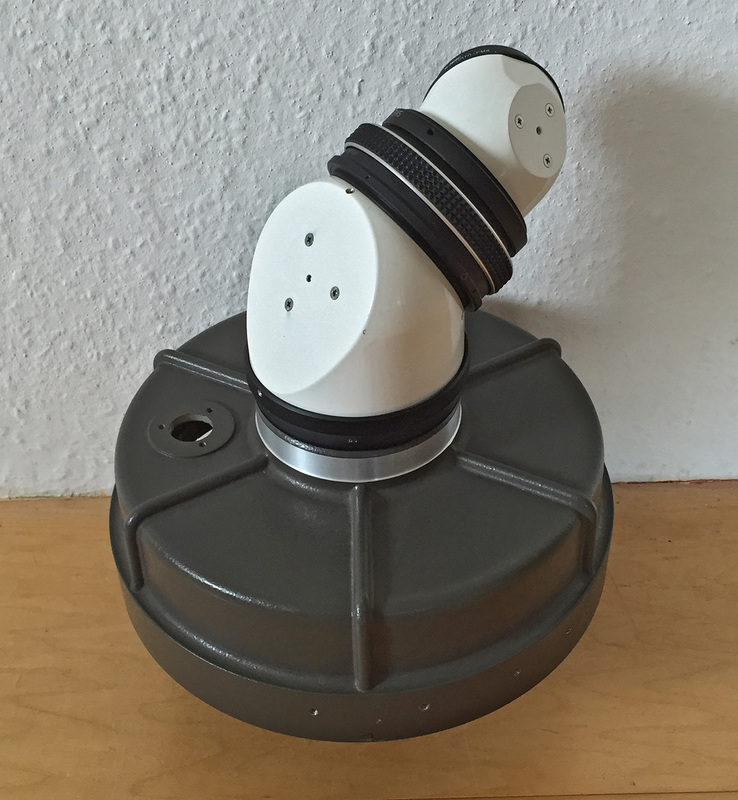 Jochen, you're projects are amazing. I could only wish for the guts ans skills required for such a project. I'm excited to see the finished project. 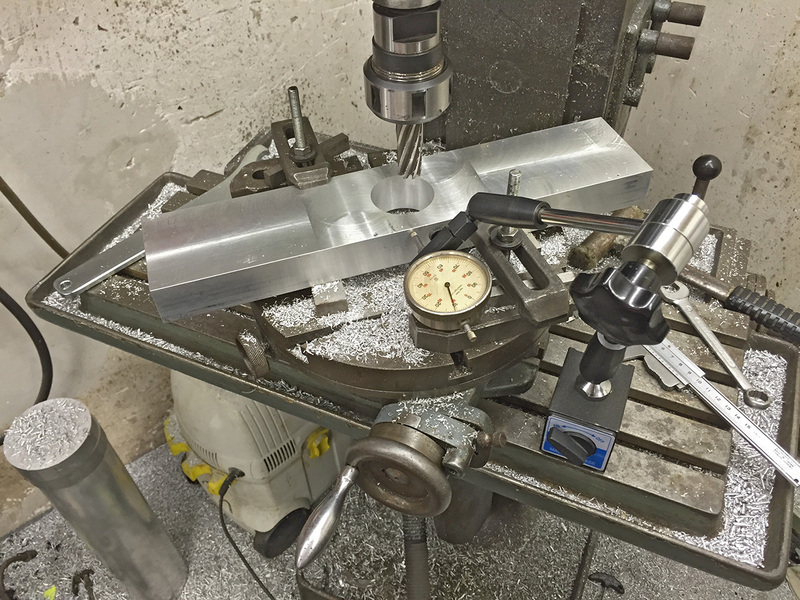 What exactly was involved in regards to machining to get the EMS to fit? Also, how are you going to deal with the increased SA? 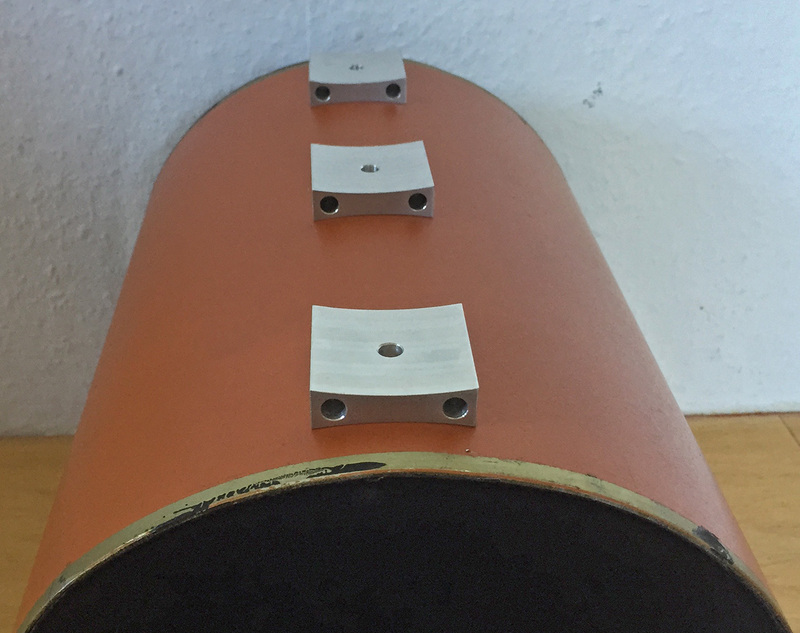 So far I only used my lathe to shorten the main baffle, turning away the SCT threading and creating a flat surface at the telescope casing to attach an adapter for the EMS housing. Actually I am waiting for more aluminium material to go on. As far as I know there is unfortunately no way to do anything against the SA. I will have to see how big it will be and need to accept it. This project is also a test for an perhaps next project with two C11 tubes. I am very interested in how this works out. 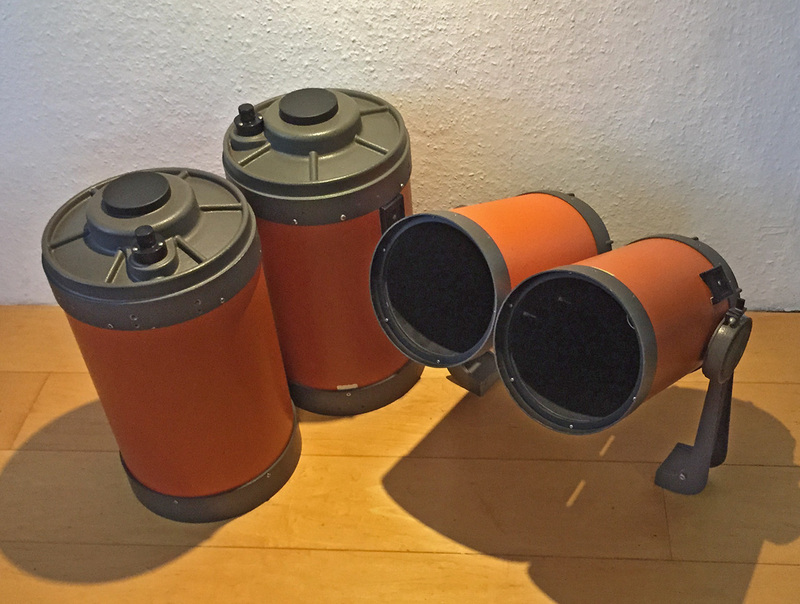 My approach is to use two Z10 dobsonians. To reach focus, without changing much I add cabinet drawer sliders with 100 pound support rating. 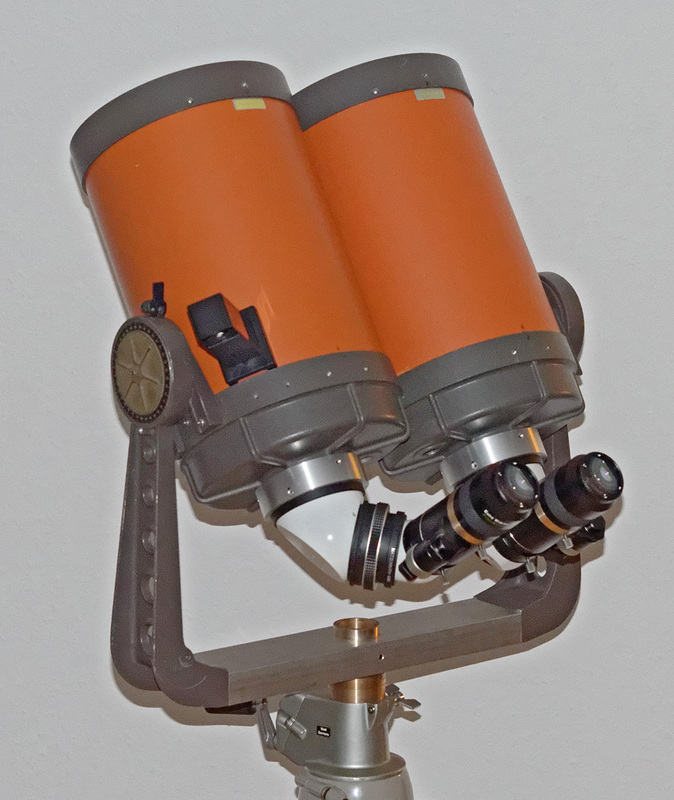 The idea is to allow focus using the normal two stage crawford focuser, then pull the two scopes together a nose length apart. I just know there is a way that we astronomers can get two eyes on the sky. We can do that without spending all our money, and we can use inexpensive parts that were never intended for both eyes. Certainly with the intelligence of the world it just just a matter of time, maybe you will lead us there. Your idea will be small and yet powerful. I would think a one eye, proof of technique. might be a way to reduce cost in the prototype. I am enjoying your enthusiasm. Thanks for the post. Impressive! You should post something in the binocular forum; it's not just about commercial hand-hold able stuff over there. Unless your exit pupil is getting down to about 1mm, you likely will not be resolving any SA induced by the extra distance the focus is forced rearward. And in any case I feel atmospheric seeing might rarely permit to discriminate the not so large degradation--I hope. Glenn, your are right, this thread would fit way better in the binocular forum. Perhaps a moderator can move it there ? I have no intention to use exit pupils smaller than 1mm, so the SA problem might be smaller that I feared. @bsavoie: Using both eyes for astronomy is great, observing is way more relaxed and you can see many more details. This already happens using binoviewers but the real thrill is giving one objective to each eye especially when you want to go for wide angle views. 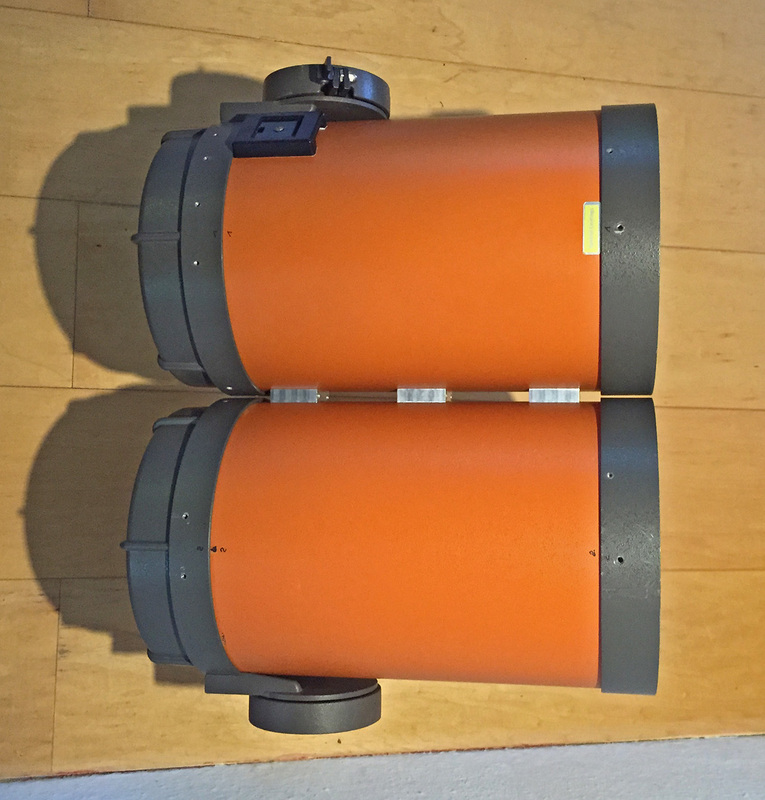 But to get this done there are many obstacles, getting both telescopes 100% parallel and rigid mounted together is the smallest of them. Some are just using three star diagonals here, with the disadvantages of having the light loss of three reflections and reversed images, where you are unfortunately limited to the mirror sizes of 2" diagonals. 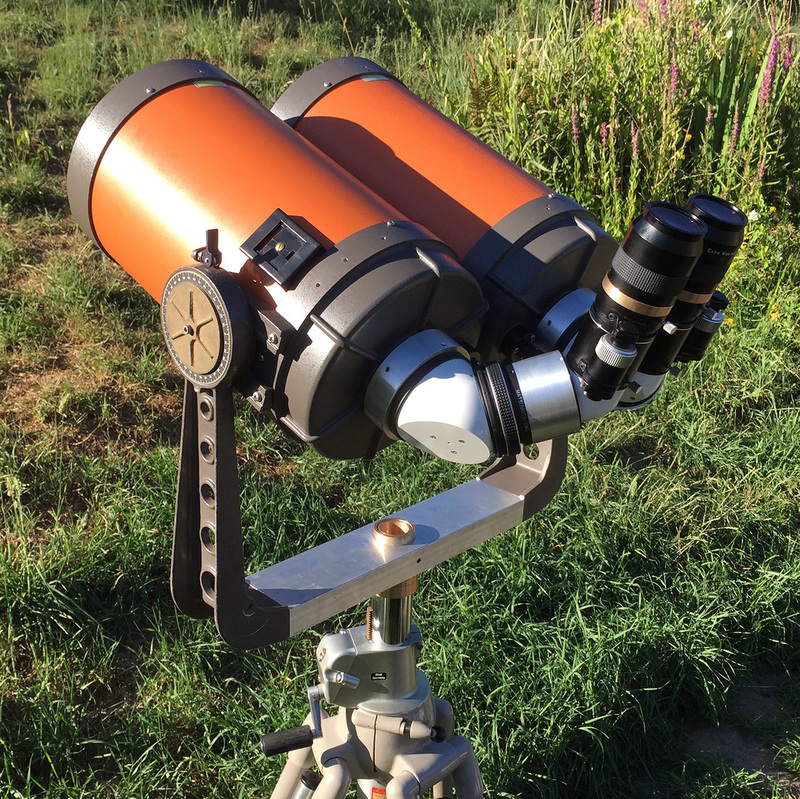 But to allow the full illumination of the eyepieces you want to use regarding the focal ratio of the objectives you have chosen you probably need bigger mirrors, especially when you have the intension to use wide field eyepieces. 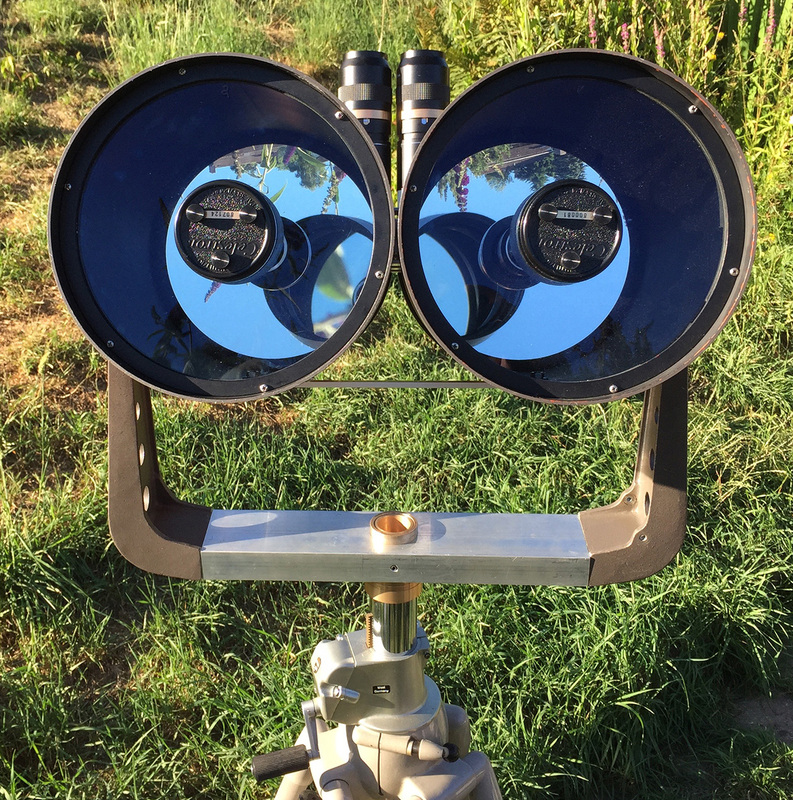 This is something most binoscope builders are not taking care for. Way better is the solution of Tatsuro Matsumoto who is using just two mirror reflections in the right angle and gets upright and right sided views with his system. The light path in his system is also shorter as in a three mirror setup. 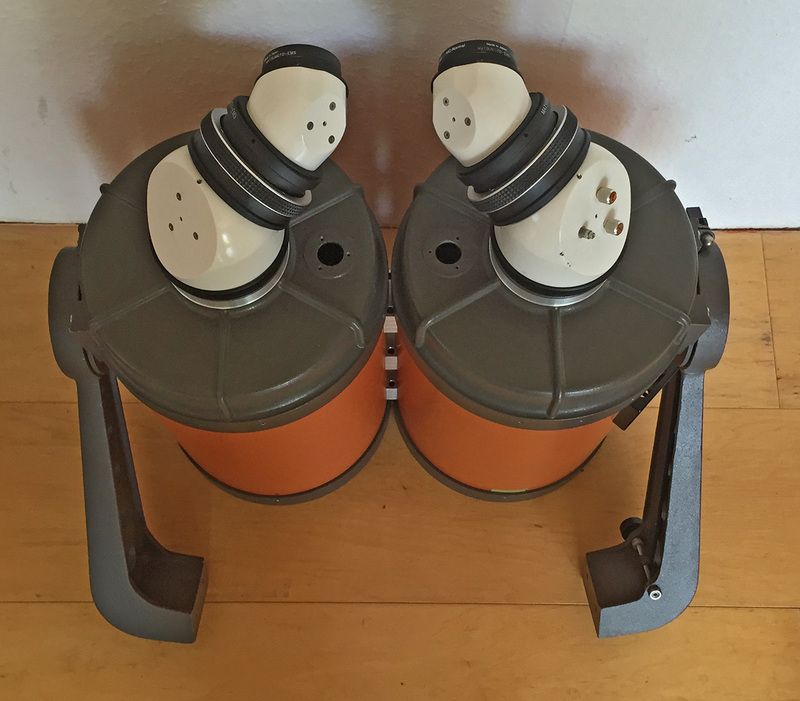 He offers multiple sizes of his EMS so you can chose the right ones for the scopes and eyepieces you will be using. 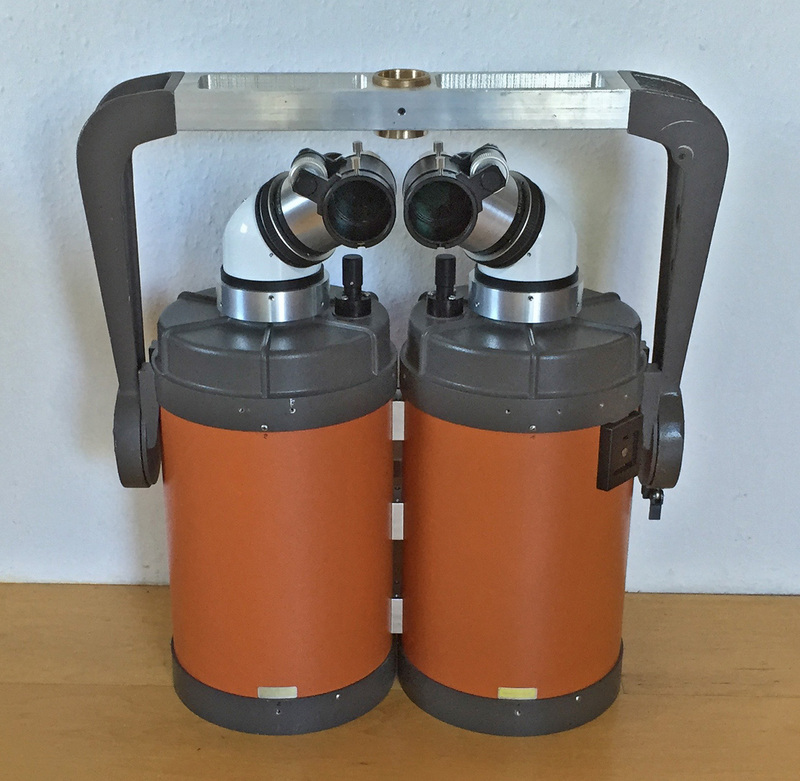 Double newtonian binoscopes are much more tricky to build in any manner and its usage is not as relaxed and comfortable as a double refractor or double SCT. 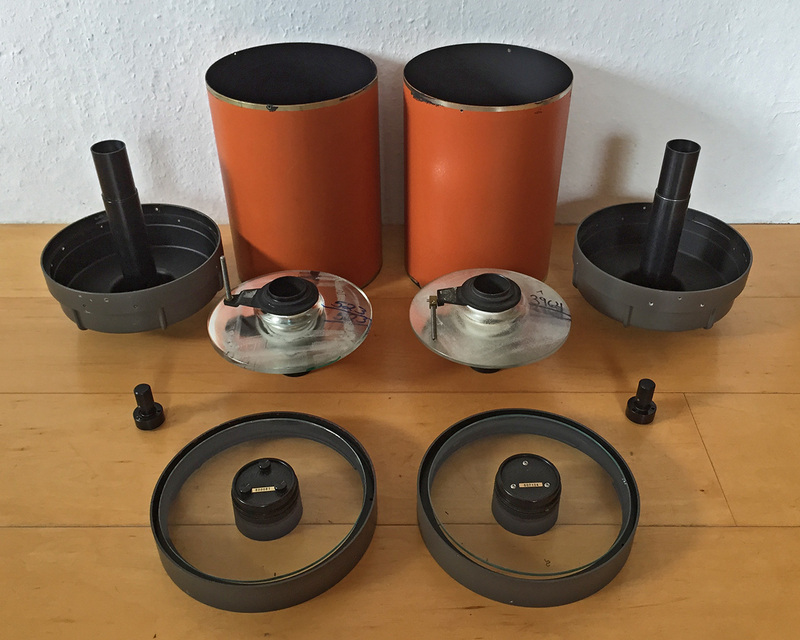 Today the parts to combine the two tubes arrived. 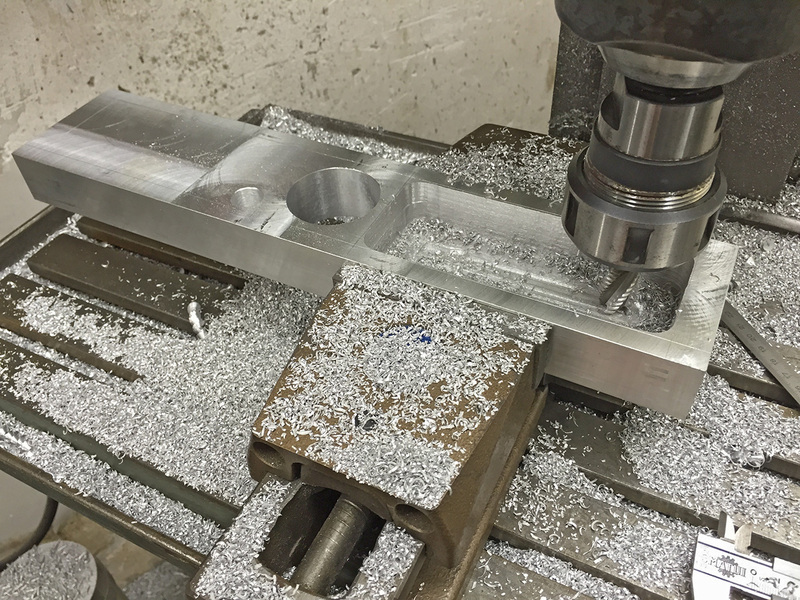 They have been milled out of aluminium to make sure that the two tubes will be 100% parallel. Now I will have to drill holes into the tubes and mount them permanently together. Jochen, Please keep posting your progress as you go. I have been thinking about such a project lately, so I find this very interesting. And thank you for the information about EMS-UXL. Thanks for your feedback, Rick! Edited by ArsMachina, 01 July 2015 - 06:19 AM. What an interesting project. Regarding back focus, did you consider some form of transfer lenses to increase back focus without adding magnification or otherwise impacting the image? Please keep posting with photos...I love your inventive spirt. John, yes I thought about some lenses but prefer not to add any more things in the light path. The EMS are the shortest way to bring the distance to my IPD and the needed backfocus will be 242mm, what is still in the good range. Today I ordered the needed material to attach the EMS and to finish the fork. As soon as it arrives I will continue my work. For me the weak link of the C8 is the fork. Why not use a few more of those mounting block and put it on a dovetail mount? Where did you find the EMS and how much do they cost? Why should this fork be weak? Why the focus knobs on the inside instead of on the outside. I would think it difficult to reach while viewing and trying to focus with the knobs on the inside? BTW looks awesome! I'm following this project with keen interest. My C8 with vintage fork has a tendency for vibration and wobble. 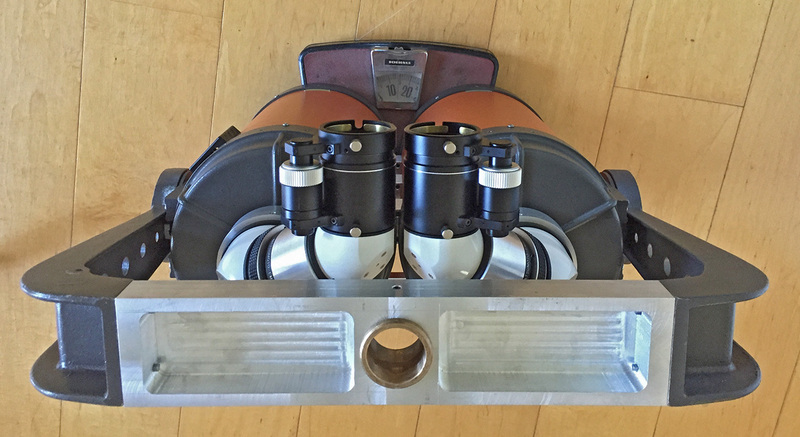 trevize, I will not use the original focus knobs any longer as I will fix the mirrors at the central baffle. This will avoid focus shift and I will focus the eyepieces with a focuser attached to the end the EMS anyway. woodscavenger, I will not use the original center piece of the fork but will build my own one. I have to see it it is rigid enough, otherwise I will probably look for a C11 fork. But first I wanted to keep the setup as small and lightweight as possible, a further improvement is always possible. Today just a little update as I am still waiting for new aluminium material to continue. As suggested by some people in the C11 bino thread I added a connection rod at the lower side of the two tubes to take the momentum and make the setup more rigid. The result is very good, I can not feel any more movement between the tubes now when I try to "bend" them. Edited by ArsMachina, 04 July 2015 - 10:26 AM. The light baffle on the secondary should have no effect on vignetting. 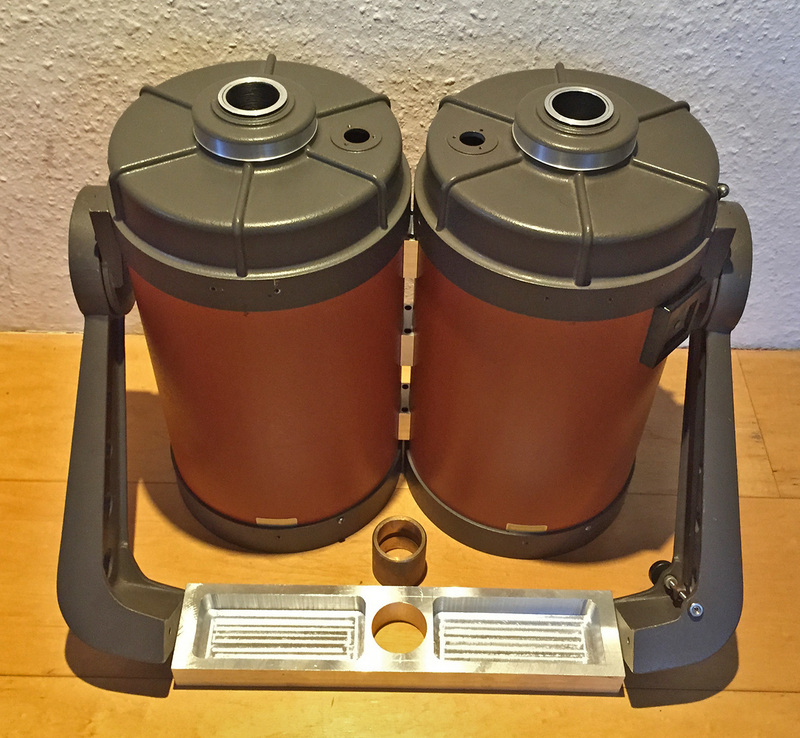 The limiting factor is the diameter of the secondary, not the baffle on the secondary. 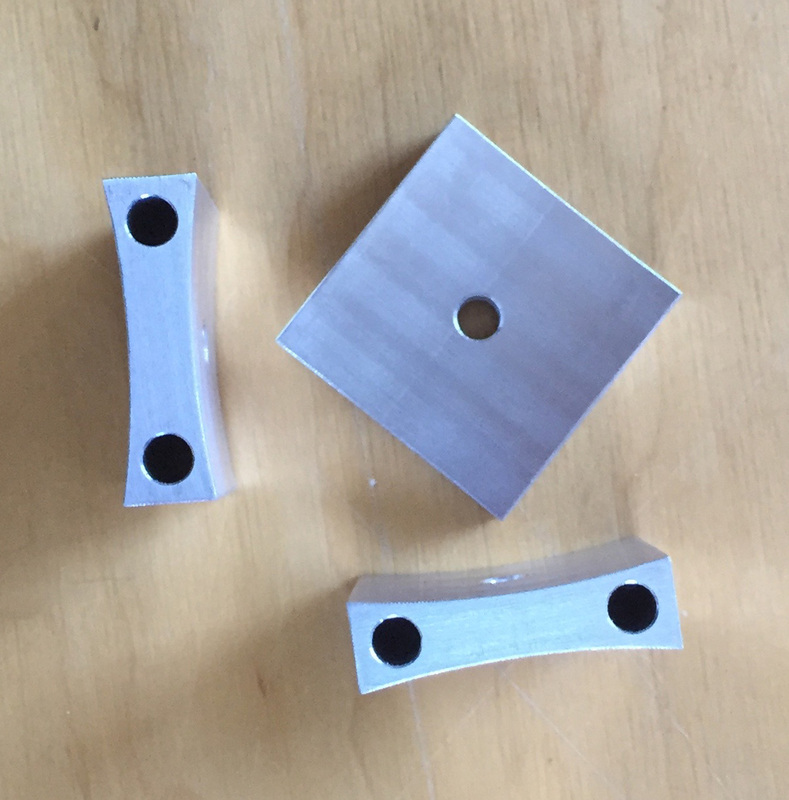 Today some more aluminium arrived at my house so I worked at the connection piece for the fork arms. This is the finished piece together with the tubes and fork arms. Tomorrow I will mount the bearing and mount the fork together. Edited by ArsMachina, 09 July 2015 - 03:27 PM. If all is fine I will continue with the C11 Bino in the other thread. Very nice work Jochen. Looks like a Linhof's going to be holding the Binoscope? yes, the Linhof can take loads above 20 Kilogramm, this is working fine.